Smitty ComfortTECH polyester umpire shirt. Moisture wicking and anti-wrinkle. Extended tail for tuck-in length. 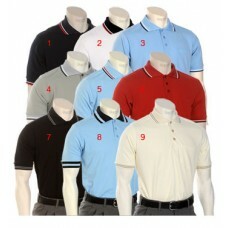 Available in Powder, Cream, Navy, Black, Scarlet, Gray. PLEASE NOTE, some colors may take an additional day for delivery! !